Marry a grey long sleeve t-shirt with a black wool hat for an incredibly stylish ensemble that's easy to wear. If you wish to immediately bump up your ensemble with one item, why not introduce a pair of black leather ankle boots to your look? A charcoal vertical striped wool double breasted blazer and a black wool hat are a cool getup that will easily take you throughout the day. And if you need to immediately level up this outfit with footwear, introduce a pair of black suede pumps to the mix. A black coat and a black wool hat are amazing staples that will integrate nicely within your casual wardrobe. When it comes to shoes, this getup is finished off wonderfully with white canvas low top sneakers. 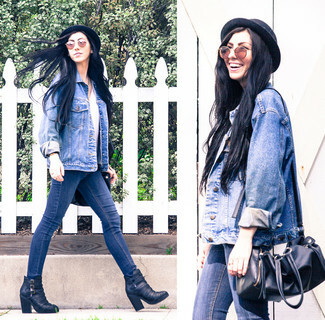 A black leather biker jacket and a black wool hat are a nice combination to have in your current outfit choices. If you need to effortlesslly up the ante of your look with one single item, why not add a pair of black chunky leather oxford shoes to your look? This casual combo of an olive trenchcoat and an Indego Africa Black Felt Hat With Kente Band is a safe option when you need to look great but have no extra time. To introduce an extra dimension to this getup, complement your look with dark brown nubuck ankle boots. 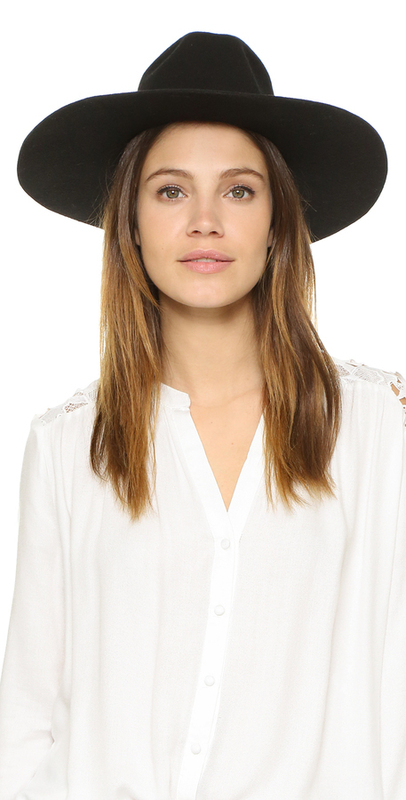 A white long sleeve blouse and a black wool hat are definitely worth being on your list of veritable casual staples. A pair of light blue studded leather ballerina shoes is a good option to complement this getup. For a look that's pared-down but can be worn in a multitude of different ways, pair a beige trenchcoat with an Indego Africa Black Felt Hat With Kente Band. Add a pair of white low top sneakers to the mix and the whole ensemble will come together. This combination of a black blazer and an Indego Africa Black Felt Hat With Kente Band from shopbop.com is super easy to throw together and so comfortable to work all day long as well! You could perhaps get a bit experimental when it comes to shoes and smarten up this look by wearing a pair of black suede ankle boots. You can look totaly chic without trying too hard by wearing a blue denim jacket and an Indego Africa Black Felt Hat With Kente Band. For a more refined spin, complement this ensemble with a pair of black leather ankle boots.